When employees don’t know how to report concerns about unethical conduct or are afraid to do so, your company can face serious risks that could harm your reputation or worse. Incidents can spiral out of control, lead to whistleblowing, and end up in claims of illegal retaliation. 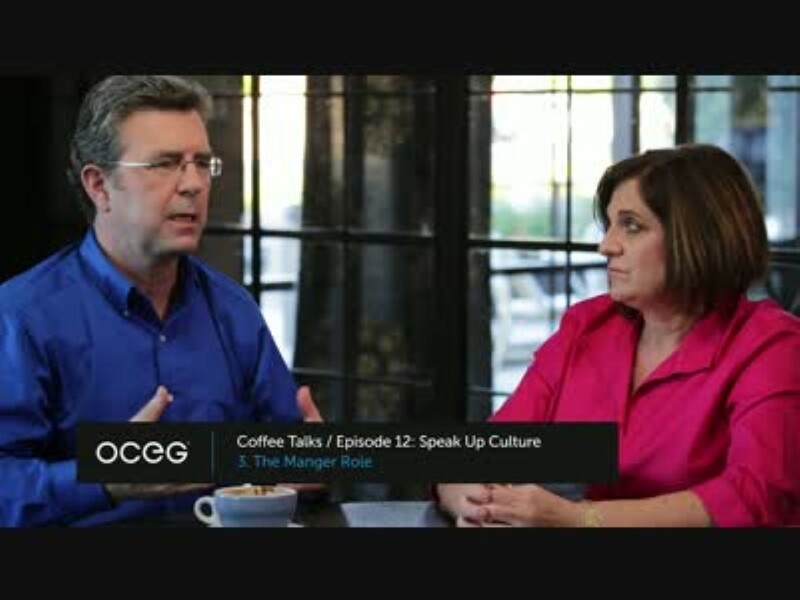 This video series explains how a speak up culture can reduce risk and compliance costs. One last step before we send you "03. The Manager Role"! We have emailed instructions to access 03. The Manager Role to . Make sure the email arrives in your inbox: either add "support@oceg.org" as a safe sender to your email platform, or if you use Gmail, drag our email into your Primary tab.